Ever since the German green card scheme, that was meant to attract IT professionals from non-EU countries, was discontinued in December 2004, Indian techies have missed it badly. The introduction of the new German 'blue card initiative' from August 1, 2012, skilled and highly qualified workers from India can again look forward to tapping opportunities in Germany. Along with the new scheme, the German government has also announced the Recognition Act, which facilitates the recognition of foreign professional credentials. The changes to the Residence Act include regulations regarding the issuance of the new EU blue card which is a residence permit intended for highly skilled non-EU nationals seeking employment in Germany. It also offers new benefits for foreign students. "The new EU blue card is one step towards providing better access to jobs in Germany for skilled international workers. India has a young workforce and an enormous potential to become the country with the largest number of qualified young people. Germany has announced a slew of changes targeted specially at wooing foreign students and academics in German universities. "Today's ideas are what make tomorrow's technologies, products and services possible. This is why we are providing targeted funding for young academics including measures that make it easier for specialists and scientists from abroad to come to Germany," Federal minister of education and research Annette Schavan, said while unveiling the changes last month. In the academic year 2010-11, the number of Indian students in Germany has gone up to 5,038, an increase of approximately 24% over the previous year. Now, with the new right to residence after study and easing of post-study employment prospects, the numbers are expected to go up further. * The blue cards, which became effective from August 1, 2012, provide fast track application processing for highly skilled, non-EU nationals seeking to live and work in Germany. * To be eligible, a non-EU national must have a confirmed job offer or valid work contract with sponsoring employer, hold a university degree, and earn a minimum annual salary, subject to change each year. The minimum salary for the first year is 44,800, or 34,944 euro if the applicant will work in a shortage occupation. * Employers sponsoring applicants who will work in a shortage occupation and earn less than 44,800 will need the consent of local labor authorities, unless the applicant holds a degree from a German university. * Blue Card holders will enjoy a streamlined path to German permanent residence. Spouses of Blue Card holders qualify for a dependent permit without having to meet German language requirements and are entitled to work incident to their dependent status, without need to apply for employment authorization. * After residing in Germany for 18 months, cardholders may enter other EU countries visa-free and apply for blue cards in those countries, subject to local rules. * After completing their studies, foreign students can remain in Germany for 18 months, instead of the earlier 12 months, to look for jobs. OTTAWA: Canada plans to create a new class of visa that it hopes will attract high-tech and other entrepreneurs to immigrate to the country to start new companies, officials said on Tuesday. It has put a moratorium on issuing its existing entrepreneur visa, which only required an immigrant to hire one person for one year, and intends to initiate a visa that would be issued to people identified by venture capital funds as candidates to create start-up firms in Canada. 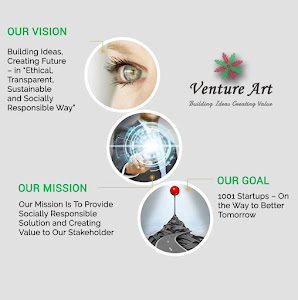 The venture funds would be required to invest in the start-ups. The start-up visa is one of several changes being undertaken by Citizenship and Immigration Minister Jason Kenney in what he says is an effort to make the immigration system more responsive to Canada's economic needs. "Canada seeks young, ambitious, innovative immigrants who will contribute to Canada's job growth and further drive our economy," said Kenney's press secretary, Alexis Pavlich. "The start-up visa is an initiative that the government of Canada is exploring to assist in transforming our immigration system into a fast, fair and flexible system that will meet the needs of our economy and help grow our country." Venture investment funds would choose entrepreneurs in whom they would invest, and the government would try to clear them for entry into Canada within weeks. The idea is to unite Canadian money and foreign brains. An initial source of candidates could be frustrated foreigners in the high-tech sector in the United States who have not been able to land resident status there. "This program will link brilliant, job-creating, immigrant entrepreneurs with Canadian investors. We want the world's best and brightest to come to Canada - to start businesses and to create jobs in Canada," Pavlich said. The program, expected to be unveiled in detail later this year, would set up external safeguards and spot checks to make sure the venture funds are investing as promised. The government will set aside 2,750 visas a year for start-up entrepreneurs and their families. Last year it issued about 700 visas under the old entrepreneur class, under which an immigrant could do something as simple as buy a corner store and hire one person, and then get out of the business after a year. Kenney also intends to revamp a separate investor class visa, which granted people the right to immigrate if they ponied up C$400,000 to C$800,000 ($412,000 to $825,000) to lend to provincial governments.